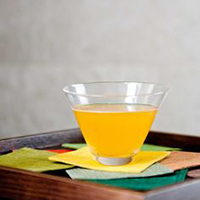 Add bourbon, Pernod and fruit juices to a shaker filled with ice. Cap the shaker and shake vigorously until well combined, about 20-30 seconds. Pour into a chilled martini glass. Serve chilled.